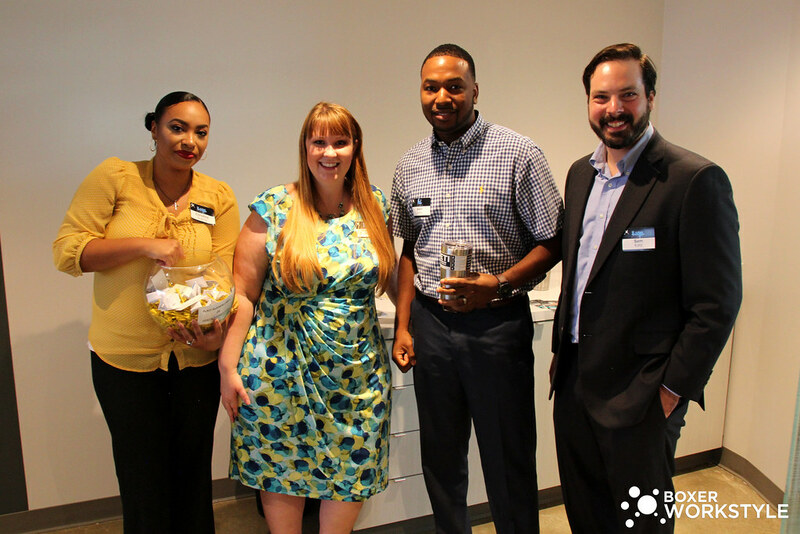 Our 2016 Workstyle Summer Event held at Arena Towers was a success! Tenants gathered to tour our newly renovated 14th floor Workstyle at 7324 Southwest Freeway in Houston. Participants were treated to lunch as we raffled off some great prizes. Thank you to everyone that attended! Click on the directional arrows to scroll through the album. Want to tour our Workstyle in Arena Towers? Check out our virtual tour here. We were able to comfortably gather in large conference rooms to eat and draw for prizes. It was great to see different groups of tenants meet in all parts of the space from the conference rooms, to training rooms, and hallway spaces. Our larger conference rooms were able to accommodate 20-25 people comfortably as we held our raffle for Yeti cups and gift cards. View available meeting spaces in Houston here. Our conference rooms in preparation of the event. We left fun ice-breakers to encourage tenants to interact with each other. What would an event be without some great food! We had a large catered lunch with chips, sandwiches, gyros, salad, and cookies delivered form Hungry’s. We ended the tour by giving away a number of prizes to our valued tenants. Prizes included gift cards to local restaurants and Yeti cups (which apparently keeps your drinks temperature forever). It was really fun to see our tenants interact with each other and the space. Our Workstyle location at 7324 Southwest Freeway is a newly renovated office space built for collaboration. We’ve seen a significant increase in new tenants since the launch of the the new Workstyle work space.